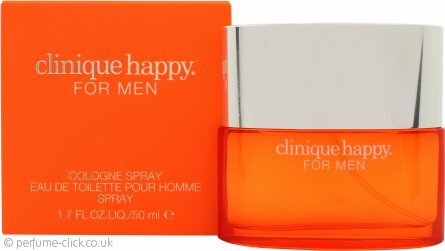 Happy Cologne by Clinique is a fresh and aromatic fragrance for men. Happy Cologne for Men opens up with juicy lime, mandarin orange, green notes, lemon and a hint of sea breeze which flows perfectly into the heart of freesia, jasmine, lily-of-the-valley and rose. The soft masculine base is round of the scent with its notes of cypress, musk, guaiac wood and cedar and will leave you feeling refreshed and full of joy. Happy by Clinique was launched in 1999.